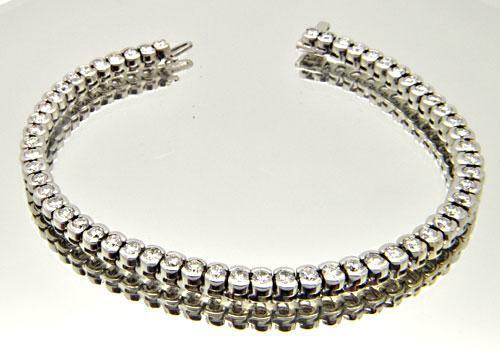 YOU ARE BIDDING ON A VERY ELEGANT LADIES DIAMOND TENNIS BRACELET. IT HAS 57 ROUND BRILLIANT CUT DIAMONDS TOTALING 8.50 CARATS. 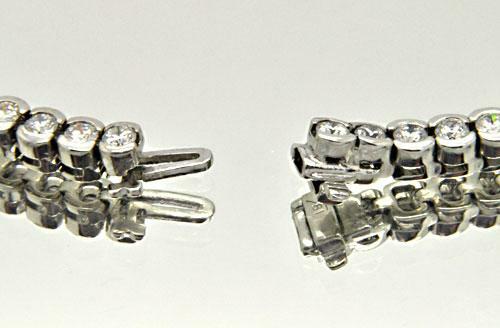 DIAMONDS ARE AT VERY HIGH QUALITY -VVS-VS IN CLARITY AND E-F IN COLOR, IT ALMOST COULDN'T GET ANY BETTER. IT IS SOLID AND HEAVY WITH A WEIGHT OF 26.7 GRAMS OF SOLID 18 KT GOLD. 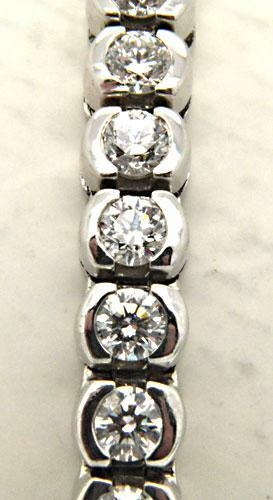 DIAMONDS ARE 100% NATURAL AND SPARKLE IN EVERY DIRECTION LENGTH IS 8 INCHES (CAN BE ADJUSTED BY A JEWELER).